With the possible exception of Buddhism, the world’s most powerful religions give wildly contradictory messages about violence. The Christian Bible is full of exhortations to kindness, compassion, humility, mercy and justice. It is also full of exhortations to stoning, burning, slavery and slaughter. If the Bible were law, most people you know would qualify for the death penalty. The same can be said of the Quran. The same can be said of the Torah. 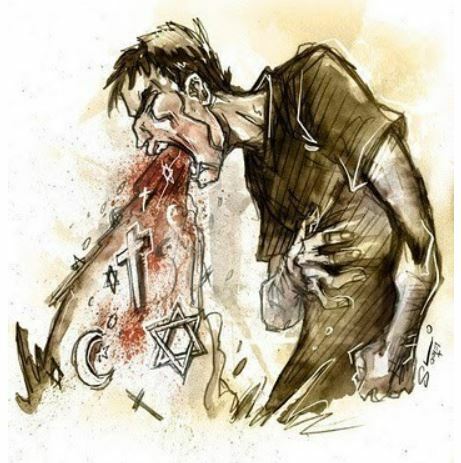 Believers who claim that Islam or Christianity or Judaism is a religion of peace are speaking a half truth—and a naive falsehood. From a psychological standpoint, religions often put a god’s name on impulses that have subconscious, pre-verbal roots. They elicit peak experiences like mystic euphoria, dominance, submission, love and joy. They claim credit for the moral emotions (e.g. shame, guilt, disgust and empathy) that incline us toward fair play and altruism, and they direct these emotions toward specific persons or activities. In a similar way, religions elicit and channel protective reactions like anger and fear, the emotions most likely to underlie violence. A case from my own field, mental health, tells the story. On November 5, 2009, Muslim US army psychiatrist, Nidal Malik Hasan, shot and killed thirteen of his fellow soldiers on the Fort Hood military base, injuring another thirty. His case shows how religion can combine with other ingredients to produce a lethal brew. What was the role of religion in the Fort Hood shootings? The answer isn’t simple. From the swirl of conjecture and hype emerged the image of a man who was lonely, who couldn’t quite seem to win at love, and who was profoundly troubled by the horror stories brought home by his soldier clients. Do therapists experience vicarious trauma? Absolutely. Does this trauma put their own mental health at risk? Absolutely. Many of them deal with this risk by seeking professional consultation, asking for support from loving family and friends, and limiting the number of post-traumatic clients that they see. I would argue that, like alcohol, religion disinhibits violence rather than causing it, and that it does so only when other factors have created conditions favorable toward aggression. I might also argue that under better circumstances religion disinhibits generosity and compassion, increasing giving and helping behaviors. Religion often is centered around authority and text worship (aka “bibliolatry”). 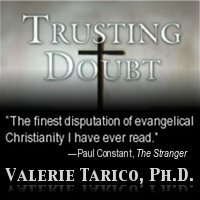 Because of this, it has the power to lower the threshold on any behavior sanctioned by either a sacred text or a trusted religious leader and is at its most powerful when one is echoed by the other. As many have pointed out, thousands of Muslim servicemen in the U.S. military shot no-one on November 5, 2009, nor will they unless they find themselves assigned to combat. Similarly, millions of people consume alcohol without insulting, hitting, kicking, stabbing or shooting anyone. Most of us are peaceful drinkers and peaceful believers. Yet, statistically we know that without alcohol assaults would be less common. So too, we all know that when suicide bombings happen, Islam is likely to be involved. And, I would add, when we hear that an obstetrics doctor has been shot or a gay teen beaten and left to die, or a U.S. president has announced a “crusade”, we know that Christianity was likely a part of the mix. Was the Fort Hood murder spree caused by Islam? Are the African murder sprees caused by Christianity? A yes answer is far too simple. But the fact is that religion around the world continues to disinhibit lethal violence at a horrendous rate. For us to vilify Muslims or Christians or any group of believers collectively is to engage in the familiar act of cowardice we call scapegoating. It means, ever and always, that we end up sacrificing innocents to appease our own fear, anger and thirst for vengeance. But for us to ignore the complicated role of religion in violence is a different kind of cowardice, one that has been indulged by peace-lovers among the faithful for far too long.